As chairman of the board I am proud to host the J/24 European Championship and I welcome you to join in. 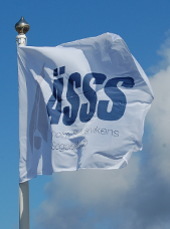 ÄSSS stands for “Ängelholm Skäldervikens Segelsällskap”, which in English translates into “Ängelholm, Skälderviken Sailing Society”. (Ängelholm being the town and Skälderviken being both the name of the bay and a town area). The club was established in the city in 1948. In 1964 the club got a permanent location in the Skälderviken area right next to the marina. This gave us easy access to our yachts and dinghys, and also provided a foundation for one of the sailing high schools in Sweden. The club activities mostly comprises of sailing, but also canoeing, board sailing and we have a section for old wooden boats. Although Sweden being situated in the north, there’s sailing activities going on all year around, provided the ocean doesn’t freeze. The club has grown over the years and by today we are more than 400 members. There is a flourishing community of sailers and boat enthusiast, ranging from beginners to crews competing in the world arena. Since the start we’ve arranged several international and national regattas. To mention a few, World Championship in IC-Canoe and Fireball. Recently we also had crews qualiffying for world championships in several dinghy classes. And I’m very proud of the committment from our members, arranging the J/24 European Championship in August 2014. The marina is well equipped with boat lifts, mast cranes and has good and easy mooring access. The club house has shower and bathroom facilities as well as sauna. There’s also a conference room / dining hall and kitchen. The club house is where you’ll find the Race Office. Nearby you will find a shop with good service. I hope your expectations of a well organised competition are met. 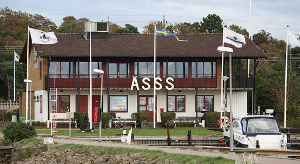 And once again I wish you all welcome to Ängelholm and Skälderviken.